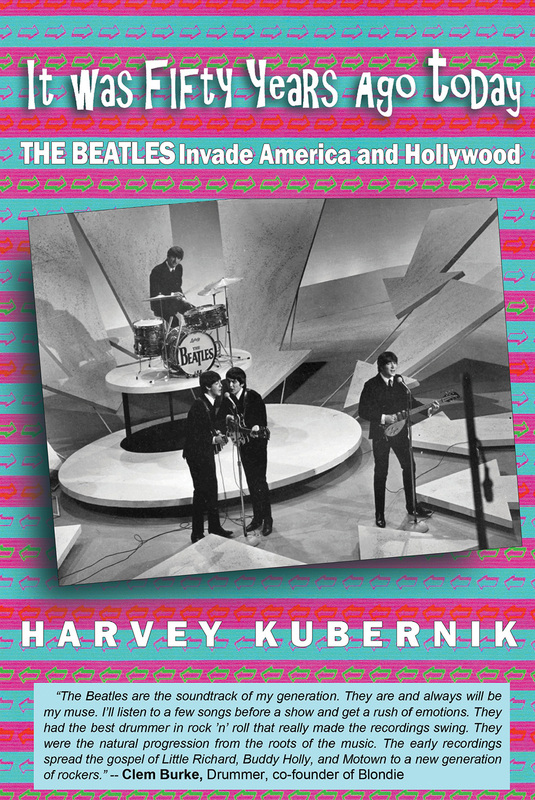 (PRLEAP.COM) December 3, 2014 - Otherworld Cottage Industries was so pleased with Harvey Kubernik's introduction to "Travis Edward Pike's Odd Tales and Wonders, 1964-1974 A Decade of Performance," that we published his 2014 book, "It Was 50 Years Ago Today THE BEATLES Invade America and Hollywood." Kubernik is the go-to guy for articles about pop music personalities, individual musicians, bands, record producers, audio engineers, singers, songwriters and DJ's, an opinion widely shared, judging by the global responses to his four books published this year. Of this year's second book, the April 15, 2014 Santa Monica Press release of "Turn Up the Radio! 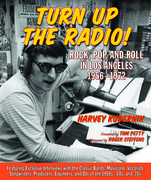 : Rock, Pop, and Roll in Los Angeles 1956-1972," Kevin Roderick, founder, publisher and editor of LA Observed, a journalist, radio commentator and, himself, the author of two books about Los Angeles, wrote, "Nice interview on KCRW Wednesday with Harvey Kubernik, the author of 'Turn Up the Radio! : Rock, Pop and Rock and Roll in Los Angeles 1956-1972,' the fun LA music history book from Santa Monica Press that came out this spring." In the August 30, 2014 San Francisco Chronicle Arts & Entertainment section, Ben Fong-Torres wrote, "311-page behemoth-with-a-beat … 'Turn Up the Radio!' book will rock music lovers," and Examiner.com, in a Holiday 2014 article, listed Kubernik's "Turn Up the Radio" among the best coffee-table books of the year — "a must have for any music fan." Kubernik's popularity continues to grow. On December 9th, Kubernik will be talking with Matthew Worley about 'Turn Up The Radio!' for a future national syndicated broadcast to be taped with Worley at KPFK-FM in North Hollywood. Previous guests on Worley's "By The Book" program have included George Will, Norman Mailer and Andy Williams. In other news, Frank Lisciandro, a close friend and film collaborator of rock icon Jim Morrison, and author of the new book, "Jim Morrison: Friends Gathered Together," published by Vision Words & Wonder in January, 2014, will be appearing live on the nationally syndicated radio show "Coast to Coast AM" to celebrate his friend's birthday on Monday, December 8, at 10pm (PST). With this month's Blu-ray/DVD release of The Doors' underground 1969 film, "Feast of Friends" (edited by Lisciandro and Morrison), Morrison's perpetual popularity has skyrocketed again and Harvey Kubernik's new interview with Lisciandro will appear on that book's website, where signed copies and limited edition prints from the book are now available for the first time. Kubernik appears on-screen in an interview in the GNP Crescendo produced music documentary on the Seeds directed by Neil Norman, "The Seeds Pushin' Too Hard." Iggy Pop, Kim Fowley, the Bangles, and Johnny Echols of Love are also featured in the film narrated by Pamela Des Barres. The movie trailer is up on YouTube and the next theatrical screening is in Brooklyn, New York, December 6th at the Bell House. Kubernik is one of the commentators in the new, Paul Ingles (NPR), two hour Bob Dylan 40th Anniversary celebration and exploration of "Blood on the Tracks," the Dylan album voted his best in a Rolling Stone Magazine survey. The two hour special will be available for broadcast between Christmas and New Year's, marking the 40th anniversary of the album being finished in the studio, and on or near January 20, 2015 – the 40th anniversary of album's release. Hear it now. 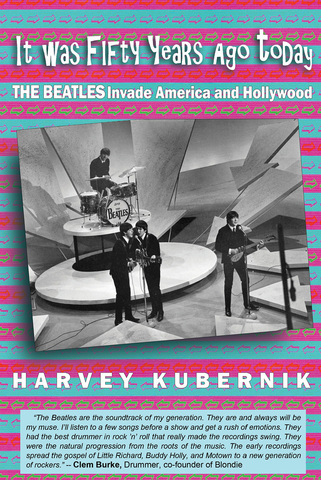 Earlier, Ingles recorded Kubernik in the NPR Culver City studios for a new Beatles program, due for broadcast in September, 2015, to coincide with the Beatles "Rubber Soul" 50th anniversary, which makes perfect sense, because in the September 4 issue of Record Collector News, Harvey penned "The Beatles Mono Mania" cover story, "New Mono Releases Made from the Analog Masters Revisit the Original Mixes, An Interview with Abbey Road Studios Engineer, Ken Scott." Harvey and The Beatles have both been good for us this year. In addition to Harvey's book, we released a 50th Anniversary DVD of "Demo Derby," the crash-action short theatrical film hat played on thousands of screens across the USA with "A Hard Day's Night"), and now, on December 11th, Harvey will be interviewed by Cynthia Fox at The Sound radio station, 100.3 FM, where they will be throwing their first holiday party for the dedicated group of listeners known as "The Sound Backstagers." If they stick to this year's four books, they'll be talking about Kubernik's Beatles book, "Turn Up the Radio!," "Leonard Cohen Everybody Knows" (BackBeat Books), and "Big Shots: Rock Legends and Hollywood Icons: The Photography of Guy Webster," (Insight Editions) written by Harvey and his brother, Kenneth, with a foreword by Brian Wilson. The show will be a videotaped, sit-down, town hall style Q & A gathering that will ultimately be posted on their website. Contact Otherworld Cottage Industries to request review copies of It Was 50 Years Ago Today THE BEATLES Invade America and Hollywood or The 50th Anniversary Edition of Demo Derby on DVD.